Please note that bag searches may be carried out. To keep delays to a minimum, visitors are asked to avoid bringing large bags or backpacks. 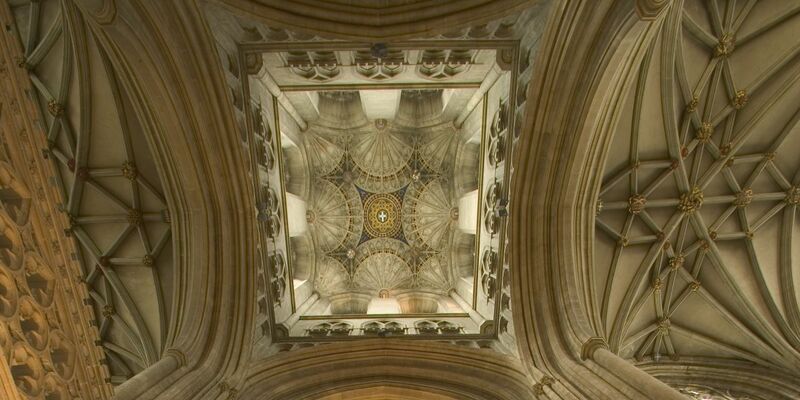 The searches are not in response to intelligence of any particular threat relating to Canterbury Cathedral, but we take the security of staff, volunteers, visitors and worshippers very seriously, and we hope this will help reassure all who come to the Cathedral. 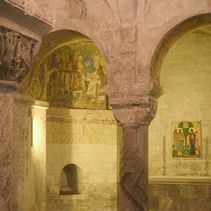 The Cathedral welcomes nearly a million visitors a year and offers a wide range of facilities. View opening times, entry charges, details of guided tours, audio tours and other visitor facilities and travelling advice. 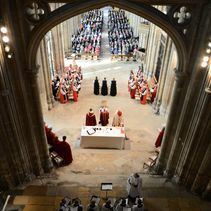 The Cathedral plays an active role in the community and it, or parts of it, regularly close for services or special events. Therefore, always check opening times before visiting. First class hotel accommodation, hospitality and conference facilities are available in the Cathedral Lodge, located in the grounds of Canterbury Cathedral. 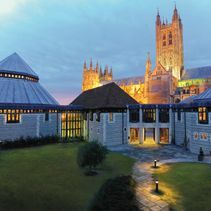 The Cathedral Lodge is a unique and contemporary hotel and conference venue in the heart of the city of Canterbury. 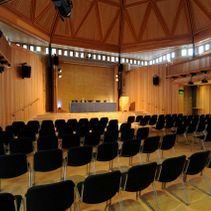 Offering an impressive 250 seat Auditorium with in-built audio-visual facilities, the conference centre at Canterbury Cathedral Lodge also houses function rooms that can cater for anything from a small meeting to a large delegate conference. Meeting delegates are promised a truly memorable event in an inspirational environment. Canterbury Cathedral has a tradition of visitor welcome that reaches back to the days of medieval pilgrimage. 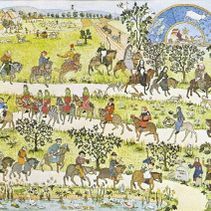 Today, we continue this tradition as we welcome pilgrims who are travelling to / from Rome, Santiago de Compostela or following the Pilgrims' Way from Winchester. We aim to provide a warm welcome and a first class visitor experience to all visitors and worshippers. You may download our detailed Access Statement or Facilities for Visitors with Disabilities leaflet before visiting or ask staff for assistance on arrival. 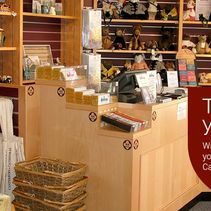 The Canterbury Cathedral Shop sells replica historical artefacts and books, guide books, some religious books, and CDs made by our world-famous choir. We are a large gift shop in the heart of the city of Canterbury with an impressive range of high quality gifts, mostly British, and our own exclusive award winning designs. 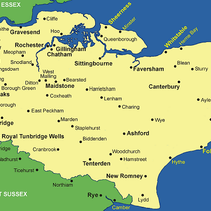 Canterbury's location near London, channel ports and airports makes it an easy destination for anyone travelling by car, coach, train, air or sea. 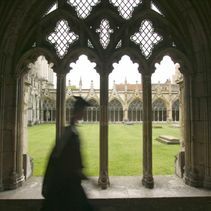 The Cathedral is within easy walking distance of Canterbury East or West stations.